What causes cylinder wear like this? Well, my buddy had this LT1 block sitting in his garage corner, I relieved him of it and now it sits in my garage corner. My question is, what causes wear like this? I could be way off, but to me it almost looks like someone didn't check for out of round, put new pistons in it, and the pistons wore the cylinder wall at that spot. Also, does anybody have any recommendations for a budget bore gauge? I'd like to start practicing how to measure bore size, out of round, etc. Thanks guys! Re: What causes cylinder wear like this? This block is probably never going to be used for anything, there's some pretty gnarly gouges in the cylinder wall and I have 2 other LT1 shortblocks that are in alot better condition. My buddy was going to scrap it, I thought it'd be a good opportunity to have a block I can practice stuff on without worrying about messing anything up. Yea, if I was actually going to do anything serious I'd have a machine shop do it, but it'd be a good learning experience to actually try and see how out of spec it is myself. What causes front cam bearing wear? 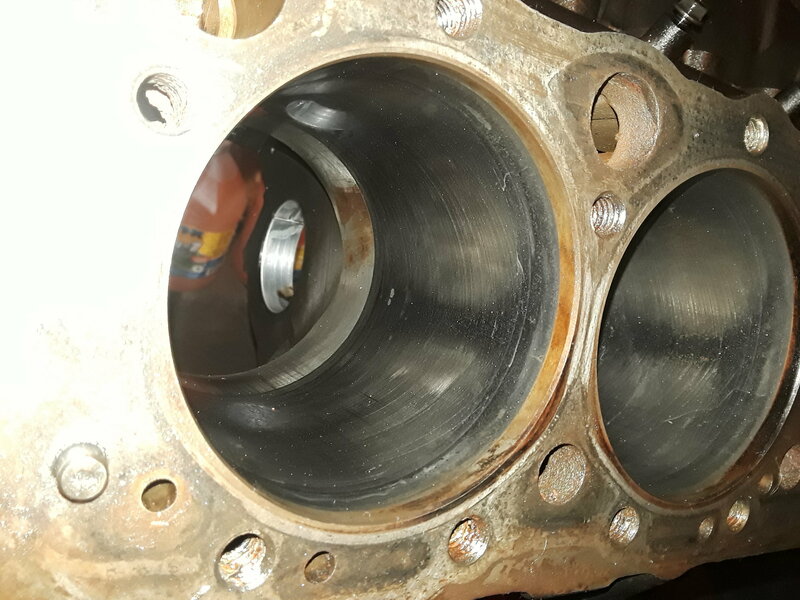 Quick Reply: What causes cylinder wear like this?